Chosen for their simple yet practical design, casement windows offer a stylish and cost effective alternative to traditional double hung windows. Attached to walls via vertical hinges, these windows will swing open and freely, and are ideal for hard to reach places such as behind kitchen sinks. These windows will open and close with ease, thanks to their single-lever latches. 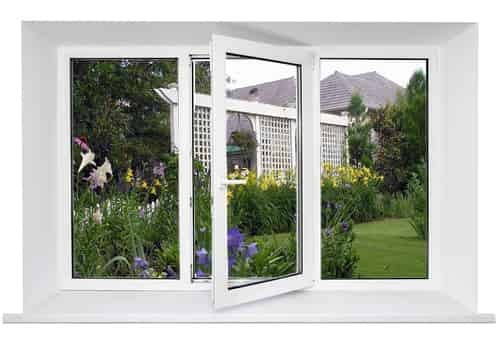 A casement window will allow you to save valuable energy, helping you to save on those monthly bills as well as contributing to a greener environment. Creating an air tight seal, their sash presses tight against the frame upon closing which makes them very energy efficient. Also offering excellent ventilation, their sash pivot enables the window to open wide – perfect in case of an emergency, providing you with a quick escape. 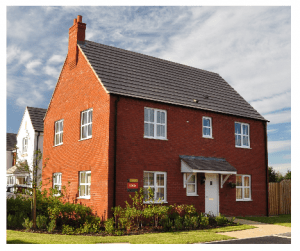 Why Choose Our Casement Windows? 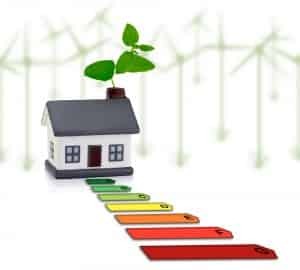 Here at Secure Style, all our windows are highly energy efficient and are Energy Saving A+9 Rated. Our uPVC windows are manufactured using the most durable and robust UPVC material for a long lasting finish. An extremely popular choice for new UPVC double glazing, our casement windows offer low maintenance, attractive design and energy efficiency. There are a variety of benefits that make casement windows a sound choice. Design is a major factor. Our casement windows are available in a variety of foiled finishes, woodgrain and solid colours are both a sophisticated options for modern and traditional properties. Handle colours are also an excellent ideal if you want to create that individual style. Extremely low maintenance, casement windows are the perfect choice for those with a busy lifestyle. Who wants to be painting window frames all year? With UPVC casement windows from Secure Style you never have to worry about that. Security is at the forefront of all of our windows, doors and conservatories, our uPVC casement windows are of no exception. Our window come complete with the highest quality stainless steel locking system, designed to withstand corrosive weather conditions. These industry leading locks remove the pressure from hinges, ensuring a longer life for your windows. Casement windows will remain secure and weather sealed, as well as energy efficient for many years. A great source of ventilation, letting air flow freely around your home without compromising on your security. The thermal efficiency of our uPVC windows will keep your home warmer, reducing your heating bills. Many homeowners install casement windows in hard to reach places such as behind their kitchen sinks, as the single-lever latches allow for single-hand operation, and are very easy to open and close. Are you eager to get a price for your new set of casement windows? Here at Secure Style we’ve got you covered. 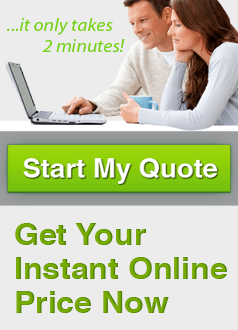 You won’t even need to get up from your seat to obtain a free no obligation quote from us! Just have your requirements at the ready and get on over to our online quote builder. If it’s not just casement windows you’re looking for then don’t worry, we also offer a comprehensive range of windows, doors and conservatories, all in a great variety of styles and finishes. If you’re not quite sure if our casement windows are definitely for you, then come and talk to Secure Style. We have a fantastic team of staff that are always ready to help our customers, new & old, with any questions or queries you may have regarding casement windows or any of the other great products we supply. Either give us a ring on 01227 779372 for a quick chat, or alternatively you can drop us an email at info@secure-style.co.uk and we will always get back to you as soon as we possibly can! For more information on getting in touch with us about casement windows you can also head over here to our contact page.